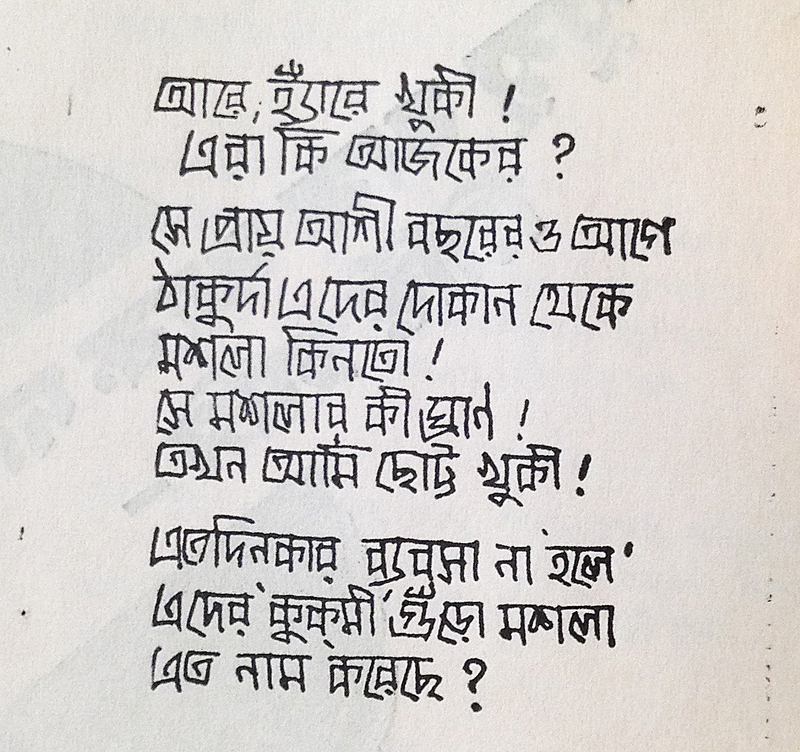 Page from Deśa (Calcutta, India) journal. Kalikātā : Ānanda Bājāra Patrikā. 1966? From the University of Chicago Library. Here’s an absolutely stunning full-page ad from Desh weekly magazine, published in Kolkata. 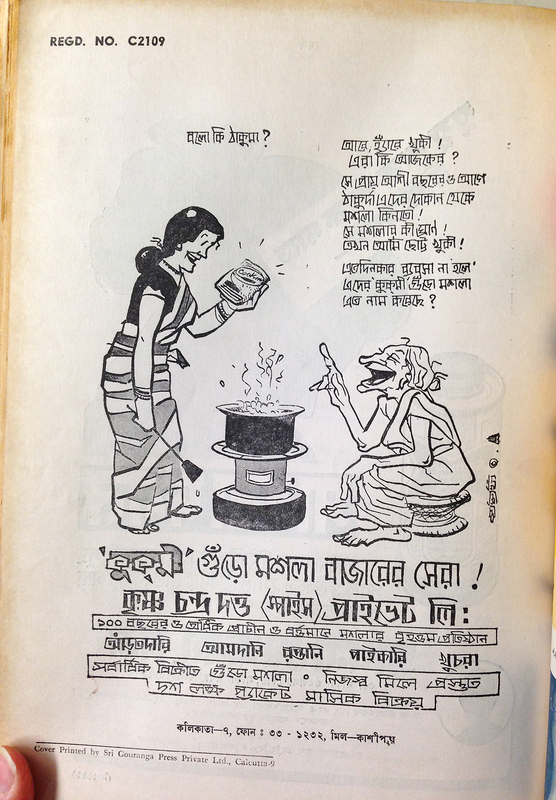 The ad is for “Cookme” brand spice powders, spelled কুক্মী (but in the ad, it is not drawn in conjuct form, interestingly). It honestly took me quite a long while to figure out what that brand name was right below the woman’s feet… even though “Cookme” is written on the package in her hand… I just thought it was something generic written on there, not the brand name itself!! Isn’t that the strangest rendition of ক ?! I almost thought that it was a ত written backward by mistake. There is SO much text on this ad, I haven’t yet been able to type it all in and translate it. I figure that someone who actually speaks Bangla might be able to translate for us! I am DYING to know what the old woman is saying! Hello there, this is Mahmud, a closet calligrapher from Dhaka, Bangladesh. Thank you so much, Mahmud! I’m sorry for this late reply! I really appreciate the translation you’ve given, it’s so helpful! Sending my very best wishes to you.